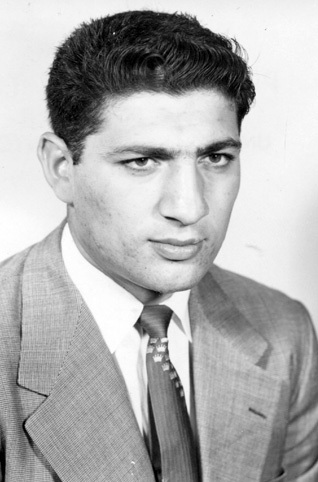 Described as a “terror on defense”, Vince Guinta was an honorable mention All-America in 1955 and 1956. Playing linebacker on defense and center on offense, Guinta was an integral part of Wyoming’s success in the mid-1950s. As a linebacker, he called all the defensive signals for his team. He started and lettered for three years under Coach Phil Dickens. He displayed great team leadership and was a tenacious tackler. He led Wyoming to a Sun Bowl victory in 1955 and an undefeated Skyline Championship season in 1956.